For the Love of Riesling: Osbourne Hotel is throwing four wine-fuelled events! Where there’s wine there’s a way, and Osbourne Hotel has enough wine-power to turn this season’s sipping scene into something worth lapping up. A month-long celebration of all things riesling will be up and pouring from April 14-May 19, seeing tastings, bottomless long lunches and desserts that are good to the last drop take over Osbourne Hotel (and your calendar, guess doing nothing will have to wait). 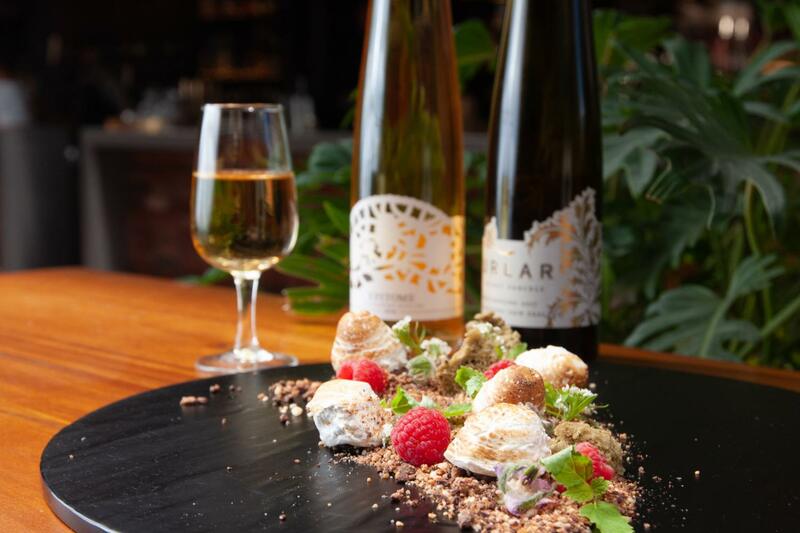 As well as the four unmissable events, a limited edition riesling menu will be on offer at Osbourne’s bar for the duration of For the Love of Riesling, with a fab friesling to enjoy as your last icy pleasure before the cool weather kicks in (it’ll take its sweet time)! 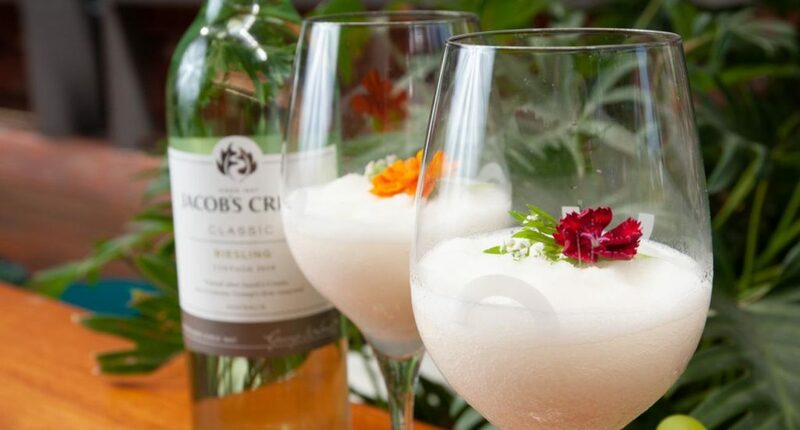 Like the slightly older sister of frosé (with the very same Instagram potential), and garnished with an edible flower, friesling is the autumn must-sip exclusive to For the Love of Riesling. Lunch has a new lease on life, with Kilikanoon Riesling (2018 Australian Wine Producer of the Year) chiming in for two hours of bottomless bliss from 12pm on April 14 – and we have the $10 discount when you book at this link and use the code WINETIME! Hosted by BJ Jull, Osbourne Hotel’s chef Ben King is matching the acidity, minerality and fruity notes of Kilikanoon’s Mort’s Block and Killerman’s Run rieslings with a killer menu. Think pork belly ramen, ras el hanout goat tartlet with cucumber raita, karaage chicken with Asian vegetables and glass noodles, and mushroom and pineapple san choy bau. Find out more and get tickets here. Master the art of being a riesling know-it-all at the Spice of Life Riesling Master Class (learning just got great again). With a pinch and a punch of good food and wine, the fun starts at 6:30pm on May 1. Learn the ins and outs of Australia’s best-known rieslings with wine wholesaler David Bone, as a five-course tasting menu paired with everything from Grosset Wines to Howard Park will help you settle in for a spicy night. Get all the tasty details and tickets here. Sugar, oh honey, honey. Wine connoisseur Tim Hampton is teaming up with Osbourne Hotel’s main man Ben King for a dive into riesling’s sweeter side from 6:30pm on May 2. With a handpicked lineup including Urlar’s Noble riesling from New Zealand, and Longview’s Epitome late harvest riesling from Adelaide Hills, each sip will be paired with exclusive desserts like Forest Floor (chocolate soil with meringue toadstools, matcha moss, edible flowers, and raspberries) and Desert Rose (caramel praline sand, lime semifreddo, pomegranate and rosewater). It doesn’t get much sweeter than that. Get tickets here (there are only 25 spots, so don’t leave this one to the last minute). If two’s a party, twenty’s an extravaganza! Autumn Harvest will see out the For the Love of Riesling with glorious Asian bites, and close to twenty prime Aussie rieslings to tuck in to from 11am on May 19. A tall drink of Leo Buring riesling will greet you on arrival, and if you so choose to get around the yum cha package, a tasting basket with pork belly bao, vegetarian nasi goreng, duck spring rolls, and chicken karaage await (as if you wouldn’t pick this pack?). Live music will keep the day going strong, and don’t even get us started on the friesling… okay you got us started (but first, tickets).